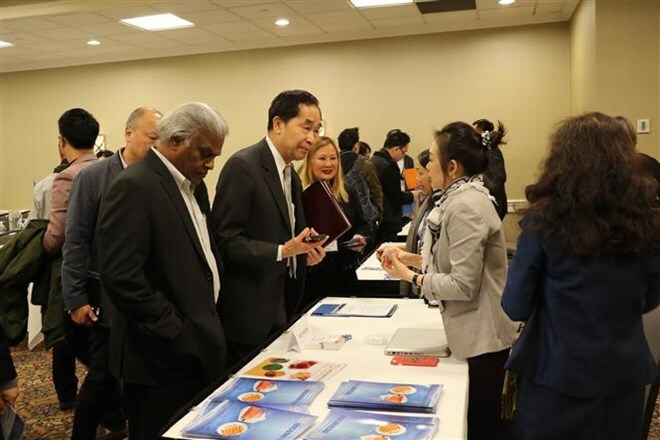 Toronto (VNA) – A seminar discussing opportunities for the Vietnamese fisheries sector brought by the Comprehensive and Progressive Agreement for Trans-Pacific Partnership (CPTPP) was held in Toronto, Canada on March 21. The event was chaired Ministry of Industry and Trade (MoIT), in cooperation with the Ministry of Agriculture and Rural Development. Deputy head of the European-American Markets Department under the MoIT Nguyen Hong Duong said that Vietnam-Canada trade ties have recorded positive development over the years, adding that the CPTPP offers new chances for the two sides to raise bilateral relations to a new height. Therefore, it is a crucial time for authorised agencies to seize opportunities to support businesses in taking advantage of the CPTPP. That Canadian administrators have a similar mindset with their Vietnamese peers will aid the process, he added. Statistics showed that Canada shipped goods totalling 1.02 billion CAD (762.9 million USD) to Vietnam in 2018, while its imports from the Southeast Asian nation hit 5.38 billion CAD (more than 4.02 billion USD). From mid-January this year, all fisheries products of Vietnam to the Canadian market have enjoyed zero tariffs. According to data of the MoIT, Canada currently spends about 240 million USD purchasing Vietnamese seafood each year. Speaking at the event, Jessica Yang, a representative of the Canadian Food Inspection Agency, underlined the role of traceability of imported food, including aquatic products, in Canada’s new Safe Food Laws.